Take a screenshot, have it uploaded and get the URL copied to your clipboard! 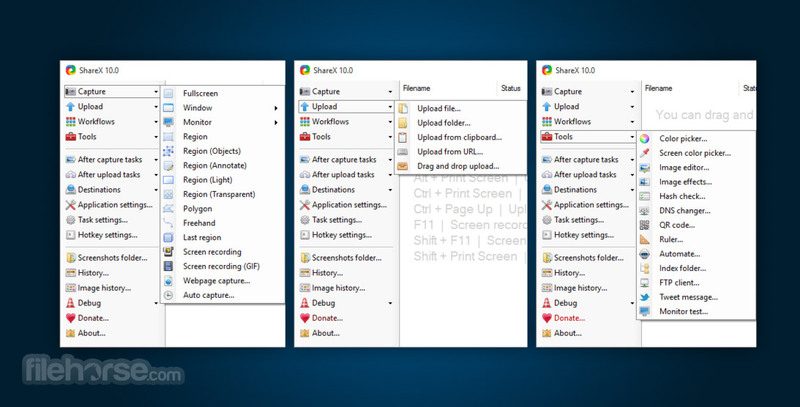 ShareX is a free and open source program that lets you capture or record any area of your screen and share it with a single press of a key. It also allows uploading images, text or other types of files to over 50 supported destinations you can choose from. 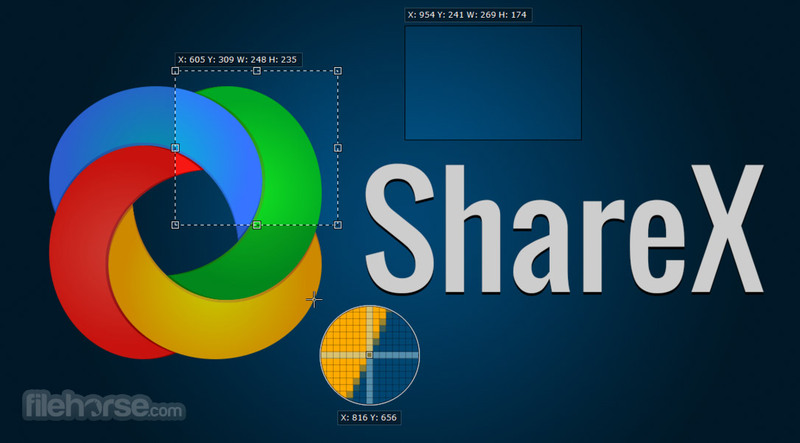 ShareX supports many ways to capture or record your screen. Free, open source, lightweight and free from advertisements! Various methods of capturing screenshots including full screen, window, monitor, region, freehand, scrolling, and more. 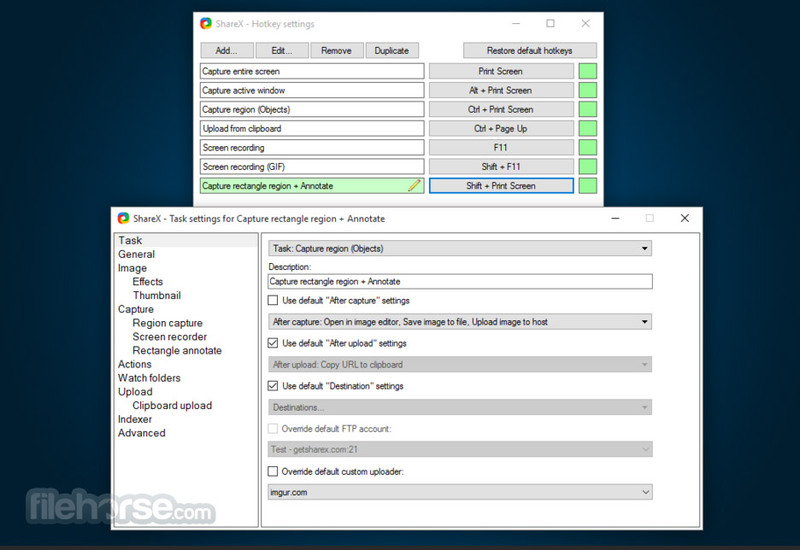 Customizable after capture tasks such as annotating, adding effects, watermarking, uploading, printing and other actions. 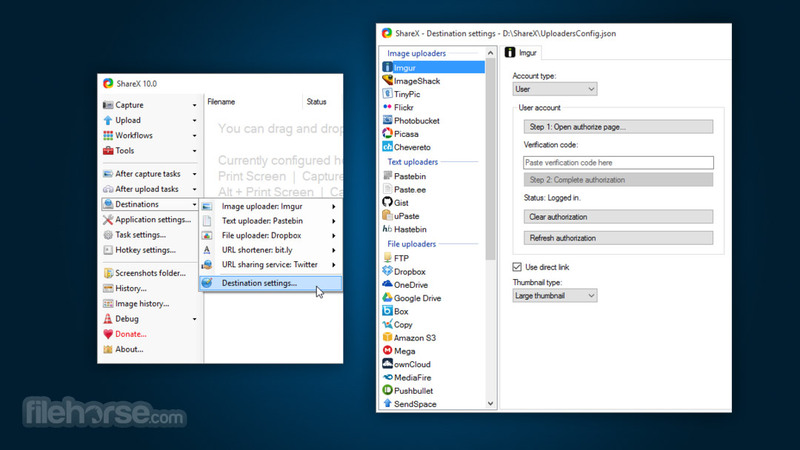 Upload any files using configurable hotkeys, clipboard upload, drag & drop or from the Windows Explorer context menu. Supports over 50 different image, text, and file hosting services such as Imgur, FTP, Dropbox, Pastebin etc. Also supports many URL shortening and sharing services. 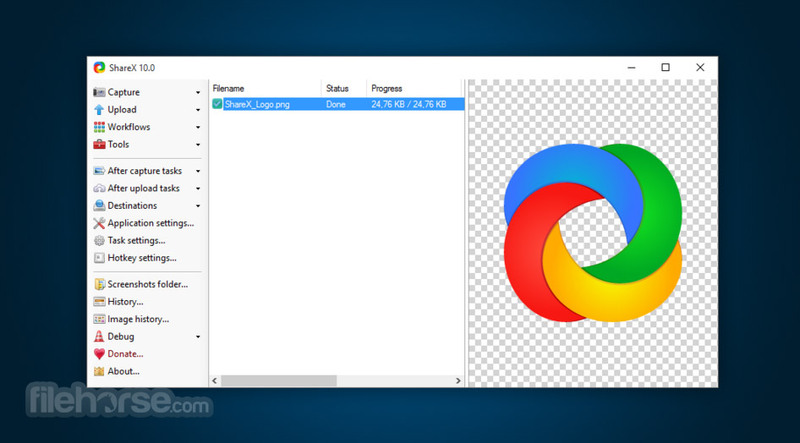 Contains tools like a screen color picker, an image editor, a ruler, a DNS changer, a QR code generator, a directory indexer and more. Unlimited customisable workflows with hotkey specific settings. Program that you can trust with over 8 years of active development.